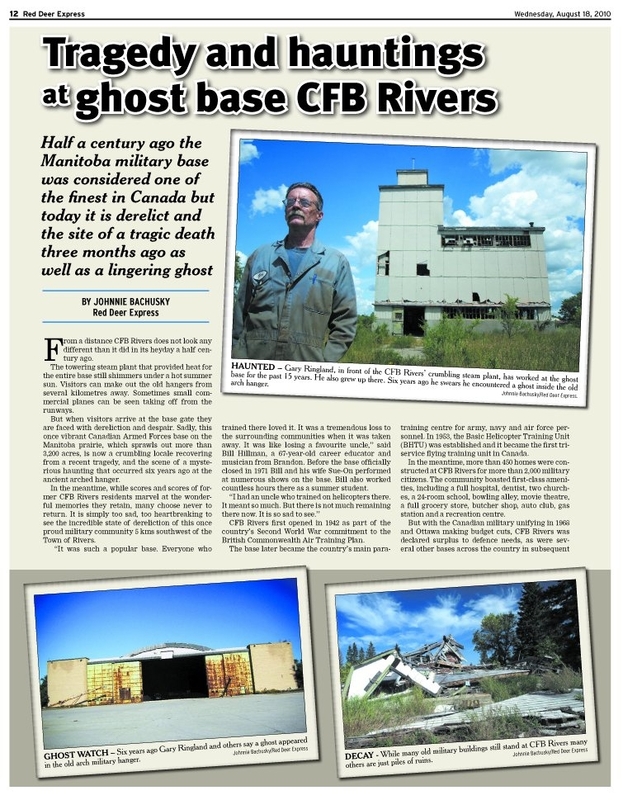 Read the Red Deer Express’s article about the demise and hauntings of CFB Rivers. 18 August 2010. This entry was posted on Friday, November 18th, 2011 at 11:16 am	and posted in E.L. Britton. You can follow any responses to this entry through the RSS 2.0 feed.